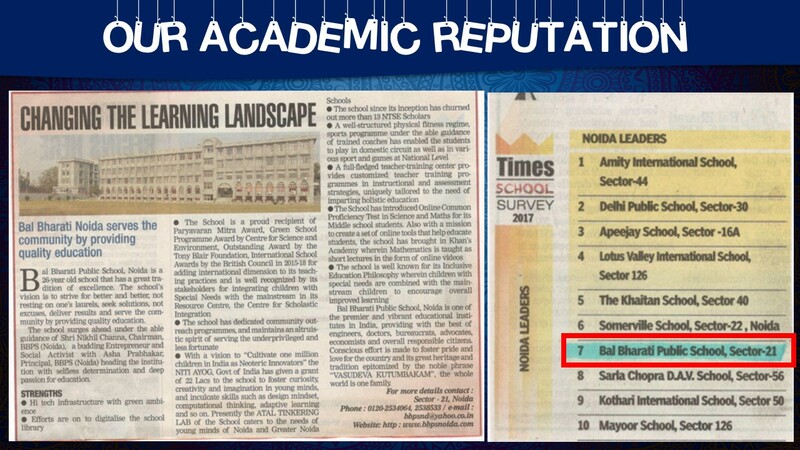 under the Top CBSE School- Parameter wise for Safety &amp; Hygiene in a survey conducted by Education Today. The India’s School Merit Awards 2017 would be held on 9 th Dec, 2017 at6 the Chancery Pavilion, Bangalore to felicitate the India’s Top School winners. This award is an emphatic recognition and affirmation of the school’s commitment to strive for excellence and encourage accountability among the generation next. Under the aegis of Centre for Science and Environment, the school enrolled for a 3-year Green School Programme in 2016. It is an environmental education programme directed at subtly sensitizing students towards the environment through hands-on and thought-provoking activities. It is an environment management system, that audits through students the consumption of natural resources within school campuses and helps schools become good environmental managers by deploying pragmatic solutions to reduce wastage of precious resources. The award ceremony was attented by Union Human Resources Development Minister Mr Prakash Javedkar along with Ms Sunita Narain Director General, Centre for Science and Environment at India Habitat Centre New Delhi on 15th February 2017. Devojeet Modak of IXD won the First prize in Drawing Competition on green cities. The school was recognized for its Green practices and awarded a green certificate. Two students of IX D Aryan Gupta and Rythm Gupta displayed their project model based on Digital India having a theme Solid Waste Management which was applauded for its innovative idea. The objective was to help children acquire scientific temper and inculcate values of environment. The exhibition, helped to bring out innovativeness which in the long run contributes to a better environment. Mr Ashok Ganguly, Ex-chairman, CBSE (one of the jury members) was the Chief Guest for the occasion. The award ceremony was also graced by Dr Abhishek Mishra, Minister for Vocational and Skill Development, Govt. of Uttar Pradesh. Ms Ritu Nagar, School Counselor and Ms B Fialok, TGT (English) received the above awards at a glittering ceremony on 07 May 15 in Lucknow on behalf of the School Principal.